See more objects with the tag lighting, light, industrial design, minimalism, simple, elemental, pure. 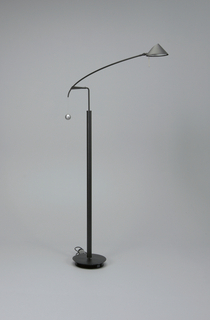 This is a Compendium floor lamp. 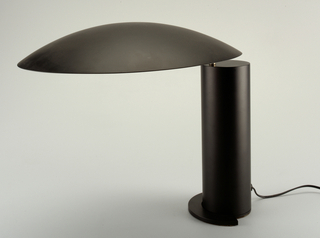 It was designed by Daniel Rybakken and made for Luceplan. It is dated 2014. Its medium is extruded aluminum, die-cast zinc-alloy. 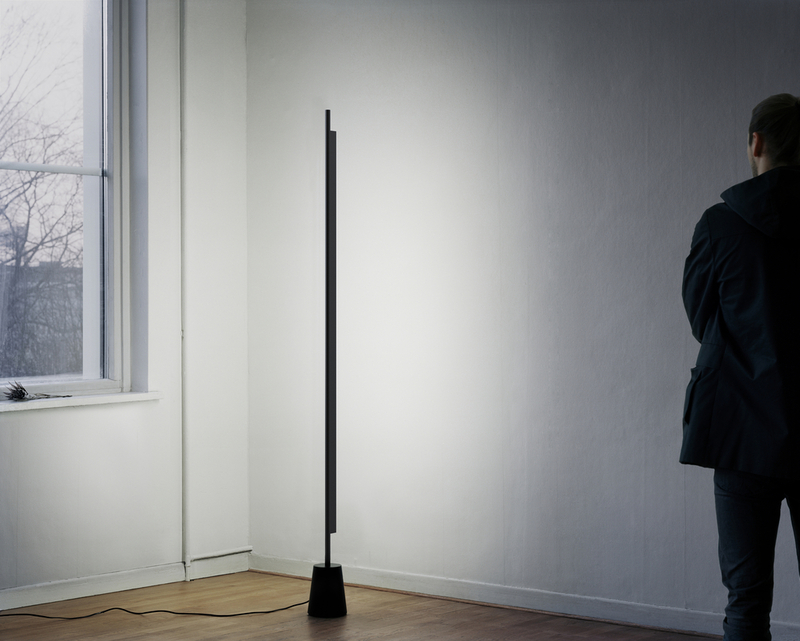 This floor lamp uses basic elements—a rod and cone—to assemble a simple and surprising lighting solution. 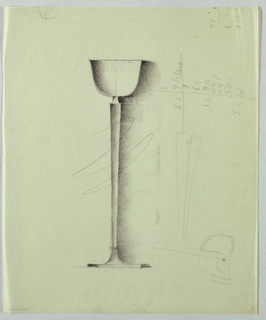 The cone sits on the floor and anchors the object. 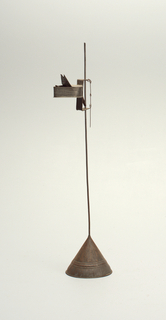 The rod is comprised of two parts and can be turned and angled to the wall as a user desires. 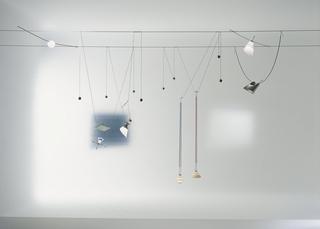 Depending on the angle chosen and distance of the lamp to the wall, differing levels of light can be bounced or reflected. 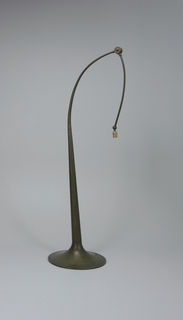 This object was donated by Luceplan. It is credited Courtesy of Luceplan. ceramic, glass, plastic, metal, porcelain, halogen bulbs. 37.7 x 31.3 cm (14 7/8 x 12 1/4 in. ).